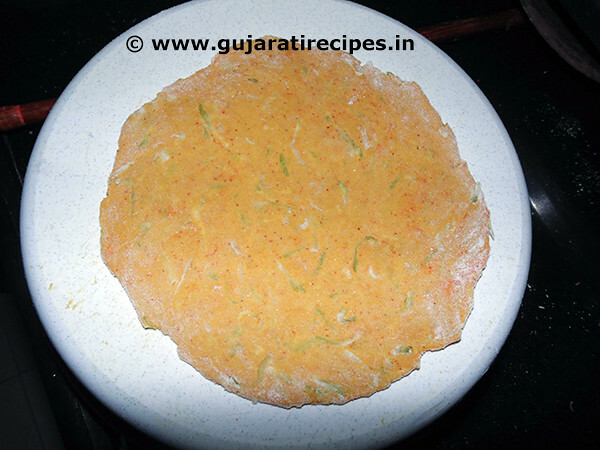 Dudhi na Dhebra (Bottle gourd Dhebra) is healthy Gujarati snacks. 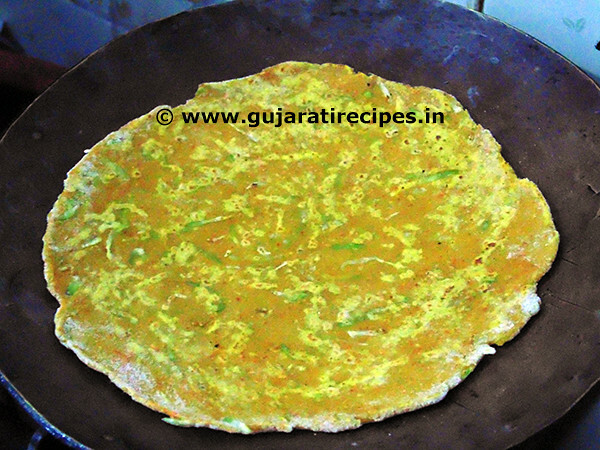 It is famous Gujarati flat bread similar to Methi Thepla. 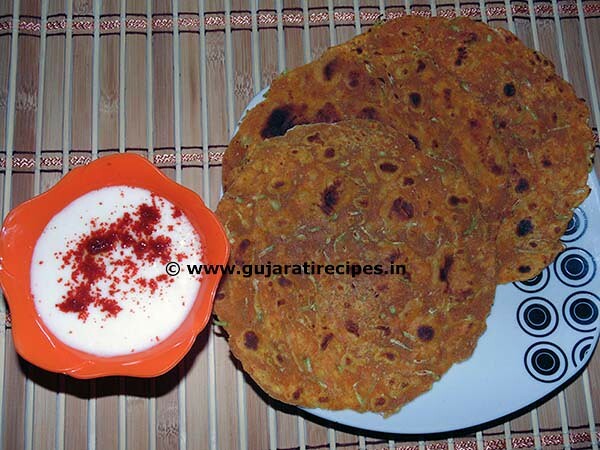 Dudhi Dhebra is the best breakfast/ brunch or snacks. 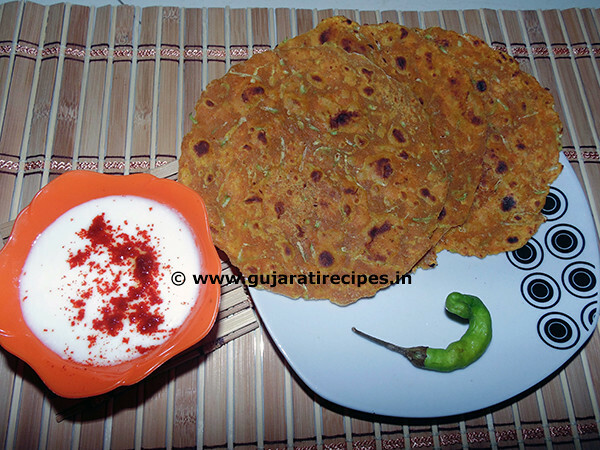 As usual, bottle gourd dhebra is healthy, quick and easy to made recipe. 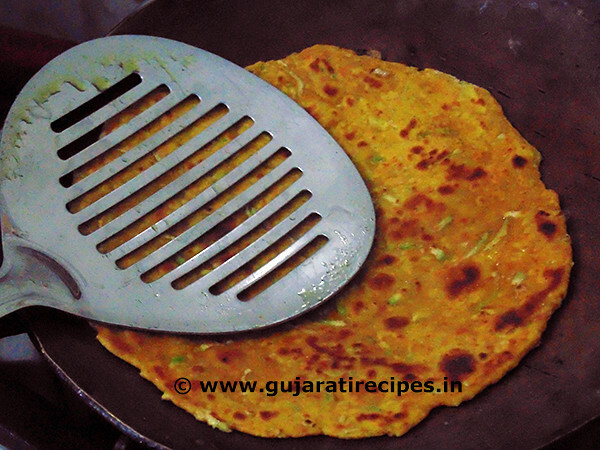 Like Methi Thepla, Dhebra is also famous Gujarati travelling recipes. 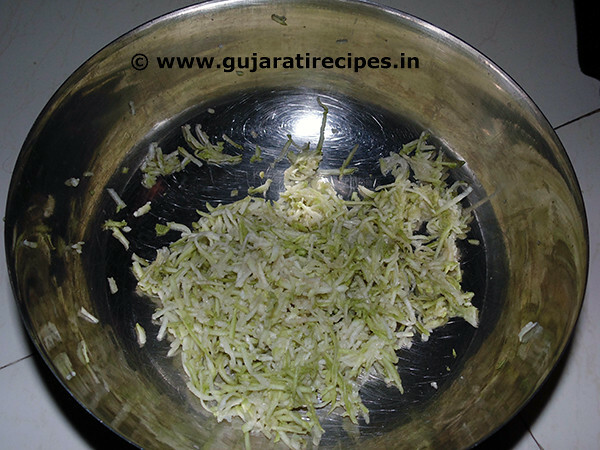 Bottle gourd is used widely nutrition and weight loss veg. It is rich of Vitamin C, Potassium, Dietary fiber, Calcium, Magnesium, Iron. 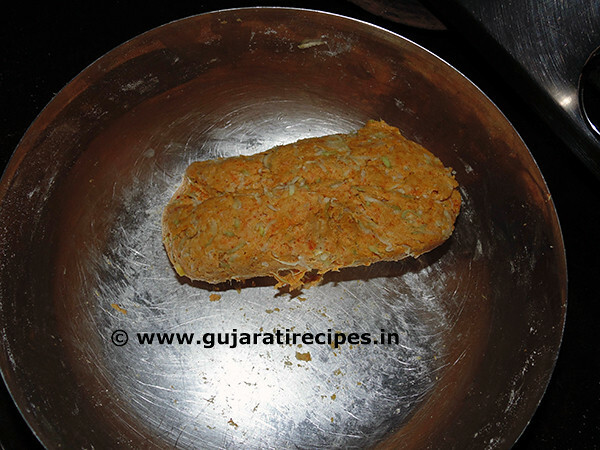 Dhebra is made with wheat flour, millet flour and chickpea flour. 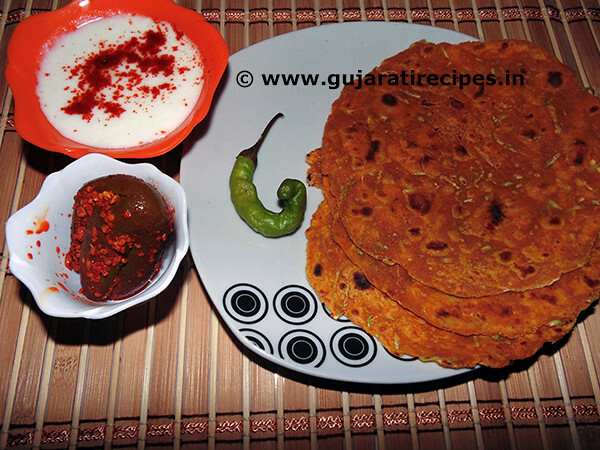 Must try this Gujarati Snacks with curd, tea, sukhi bhaji. 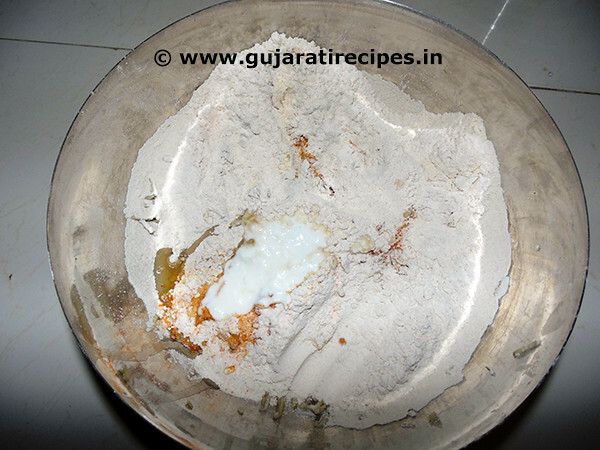 Take flour in a mixing bowl. Mix all ingredients and stirring it till dough start to come together. Keep stirring; add more water if dough is still dry. Dough should form a ball. Dough should be hard. If it is too sticky, add a little flour. It should not sticky enough to stick your hand. Now knead the dough with 1 tsp oil and divide in to small ball. Deep one ball in to flour, roll it in to thin dice. Add dry flour to keep prevent it sticking to the rolling surface. 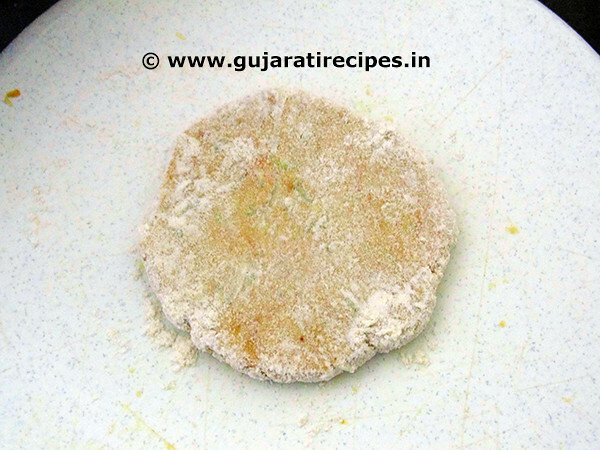 Excess flour from the dhebra and place on hot tawa. Flip dhebra to other side, when you see bubbles on the surface. Now dhebra is ready for serve.